In news just hitting the wires... Blackbaud announced today they are buying Kintera as an all-cash tender offer for all of the shares at a price of $1.12 per share. While the press release seems almost giddy, I'm not so sure nonprofits will be thrilled that their viable options for major providers continues to shrink. If I was a shareholder in BLKB, I would be concerned that $46 million is too much to pay for a provider that seemed destined to go out of business anyway. Although, the only people who will suffer more than nonprofits looking for competition in the marketplace will be the folks at Convio who must be shitting themselves. 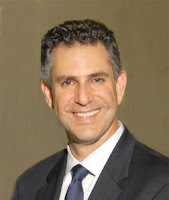 Kintera will continue to be led by its current President and CEO, Richard LaBarbera. The company is expected to formally launch the tender sometime next week and close on or around July 2. Because both Blackbaud and Kintera are publicly traded companies there are very specific Federal Trade Commission rules about what can be said and done until the deal officially closes. This may take as many as 30 days and until then both companies will perform as separate units, competing with each other as they did prior to this announcement. * Both Kintera Sphere and Blackbaud NetCommunity are strong Internet solutions that largely serve very different segments, including The Raiser’s Edge, Team Approach, eTapestry, and non-Raiser’s Edge customers. 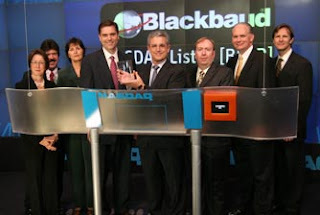 * Blackbaud plans to continue to support and invest in both products. * Kintera’s other offerings, FundWare, P!N and certain capabilities within Sphere (e.g., Friends Asking Friends) are well-recognized and respected in the marketplace. The New York Times reported yesterday that Virginia Commonwealth University, a public institution, signed a secret grant agreement in 2006 to do research for Philip Morris USA. "The contract bars professors from publishing the results of their studies, or even talking about them, without Philip Morris’s permission. If “a third party,” including news organizations, asks about the agreement, university officials have to decline to comment and tell the company. Nearly all patent and other intellectual property rights go to the company, not the university or its professors. But the contract, a copy of which The New York Times obtained under the Virginia Freedom of Information law, is highly unusual and raises questions about how far universities will go in search of scarce research dollars to enhance their standing. It also brings a new dimension to the already divisive debate on many campuses over whether it is appropriate for universities to accept tobacco money for research." Apparently the nation's largest tobacco company also has similar agreements with other universities - although a spokesman declines to say how many or which ones. The Barack Obama for America Campaign has announced the appointment of Francisco Sánchez, former U.S. Assistant Secretary of Transportation, as the National Chair of Latino/Hispanic Fundraising. Sánchez is also an advisor on Latin American policy for the campaign. In this capacity, Sanchez will co-chair the Obama Hispanic Leadership Council with Illinois Attorney Manny Sánchez. The newly formed Council will work with the national finance team to increase the enthusiasm and fundraising efforts for the Obama campaign in the Latino community. Jeff Brooks has a nice post today on the bad decisions made by the "brand cops" at Louis Vuitton. Seems an artist named Nadia Plesner created this image to make an obscure point about Darfur. Then, stupidly, Louis Vuitton sued her for misusing their brand. Brooks thinks the fashion company made a bad decision by sueing, "because now it looks like International Fashion Designer vs. Starving Babies." Meanwhile, I forgot to register my reaction to a federal judge who rejected an effort by Johnson & Johnson to prevent the American Red Cross from using the charity’s logo on retail products. More on that later (time permitting). The Chronicle of Philanthropy released the first real fundraising numbers I've seen to date on the pair of recent natural disasters in China and Burma. "American relief groups have raised at least $32-million for victims of the China earthquake and the Myanmar cyclone. The groups say about $16-million has been donated to each cause." Hat tip to Caroline Preston for pulling together the great research in pulling together a long list of foundations who have made big grants and the charities that have been in a position to put the good will to work where it's needed. I wrote last week about the ethical dilemma facing fundraisers who see their donors making gifts on credit cards. As usually happens when I'm too far out in front of the accepted debate - many have been skeptical. My favorite response was from a reader who told me, "I doubt that my donors who are making donations are the type of people who have big credit card debts." Seriously? I'm think that's pretty naive. Your donors are not millionaires. Let's face it - most Americans carry credit card debt they can't afford to pay off all once. In fact, just today TransUnion released a survey conducted by Zogby that found 61% of Americans said they will spend less or not go on vacation this summer. When asked why, "Thirty-five percent cite concern about credit card debt, and nearly half (47 percent) cite concern about other debt or financial obligations." A 2007 survey by CardTrak.com found that American households with credit card debt owed a median of $6,600, and that less than one-third of households pay of their balances monthly. The survey also found that 13 percent of those who carry credit card debt have balances in excess of $25,000. I think it is foolish to assume your donors don't have credit card debt. For many people, making a donation is an emotional reaction to a well reasoned understanding of the problems facing our world... donors don't check their debt balances first before responding to a nonprofit's call for help. I'm sure that Liz Pulliam Weston disagrees with me, but let me ask these two questions to get the debate started. Do you personally have credit card debt? Have you made a donation in the past 12 months? Long time readers of this blog will remember that I credit Seth Godin with giving me my first real traffic spike. And even though his Squidoo project seems to be taking longer than most thought to grow, many nonprofit fundraisers seem to think of him as a marketing guru. The folks over at philanthropy.com are hosting an online discussion with Seth tomorrow (Tuesday, May 20th) starting at noon. You can find out more here. One of the McCain campaign's most important fundraisers resigned as national finance co-chair. Former Rep. Thomas G. Loeffler, a Texan who is among the McCain campaign’s most important advisers, resigned over lobbying entanglements, a Republican source told Politico on Sunday. Loeffler was part of the rescue mission for the campaign last year after its spending badly outstripped its fundraising, leading to a contraction of the campaign that left McCain running a bare-bones operation in the lead-up to his breakout New Hampshire primary victory. Apparently the "maverick" presidential candidate didn't want to look bad in the media... but he has no problems appearing with President Bush at a fundraiser in Phoenix on May 27th. 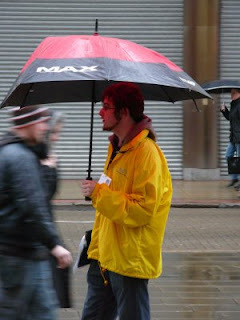 Fundraising body releases code of practice for "chuggers"
The Institute of Fundraising (IoF) is the professional body that represents 4500 individual fundraisers and 250 organizational members in the UK. The IoF just released a new draft code of practice on face-to-face fundraising, a practice known to some as "chugging" because it can be perceived as charity mugging on the street. For the first time, the code includes rules on the practice of prospecting - where fundraisers take down potential donors' details but not initially their money. "Previously, only those who took money or were active in getting people to sign up for direct debits were required to follow the IoF code. During the initial F2F conversation, fundraisers are now required to "acknowledge the possibility of a subsequent financial commitment request". Mick Aldridge, Chief Executive of the Public Fundraising Regulatory Association, said that the body had seen a desire from local authorities who claimed that prospecting "looks like fundraising" and therefore needed to be included under regulatory guidelines." Now that the draft is released, the IoF will begin a 12 week public consultation period until August 8th. If you want to give your input, go here. I got an email press release today about how Convio and a company called MPower announced the availability of a "Database Connector" to integrate Convio's online constituent relationship management (eCRM) suite and content management system (CMS) with MPower's offline donor management solution. This isn't the first time the two companies have worked together. Back in 2005 they announced a partnership to do basically the same thing... although back then it wasn't called "database connector" it was called "Optimizing Online and Offline Data Integration for Joint Customers." Back then MPower bragged that they had "more than 225 leading Christian organizations, including Insight for Living with Chuck Swindoll, Walk Thru the Bible, and Habitat for Humanity Orange County." MPower also listed Fellowship of Christian Athletes, Mothers of Preschoolers, East-West Ministries and Voice of the Martyrs as clients at that time and the press release from 2005 said that Turning Point Ministries was a joint customer of Convio & MPower as well. MPower's website says that they have "hundreds of nonprofits of all sizes with diverse missions and constituencies, including some of the world's largest and most sophisticated direct marketers." Although they don't carry offer a client list on their website. If any readers know of any nonprofits that use their system, let us know in the comment section. I saw that MPower's CEO, Randy McCabe, runs his own blog called "Freedom to Fundraise." It looks like a decent site... although he doesn't post that often. I recommend this post about how the stock prices of vendors to charities are getting battered. Will the ticking credit card time bomb impact donations? For the past few years fundraisers have been aggressively pushing donors to give by credit card instead of by check... especially when it comes to the increase in online fundraising and/or monthly giving programs. But there is a growing sense of dread that a pending tsunami of credit card defaults is creating a ticking time bomb in this country... and I am going to go out on a limb (just like I did early last December when I warned about the looming recession) and predict that fundraisers will need to grapple with serious concerns about donors who are charging their donations. Do we have any ethical concerns about donors putting a $100 donation that they can't afford on a credit card where it will eventually cost them $130 in interest? Do fundraisers benefit by getting donors to give more when they use a credit card than they would if they had to use cash? "According to Equifax, a credit card analysis firm, people have been buying more with their credit cards but paying down less. As a result average balances jumped nearly 9% in 2007 and delinquency rates recently hit a 4-year high of 4.5%. Also, the reliance on credit cards is preventing some of the markets salutary forces from working. With credit always an option, domestic demand remains strong despite rising prices. Absent the option of putting more costly gasoline on their credit cards, Americans might have actually been forced to cut back on their consumption, taking some of the upward pressure off gas prices. It should be painfully obvious that expanded consumer credit is not evidence of improvement, but simply, deterioration. Unfortunately, when it comes to understanding the economy, there is little common sense on display. By going even deeper into debt just to make ends meet, American consumers are digging themselves, and our entire economy, into an even greater economic hole and laying the foundation for the next major credit debacle." I'm sure people have been warning about credit card debt since the first person used their Diner's Club card to buy a dinner for friends that he/she couldn't afford... but with the reality of the housing implosion hitting home now - many people think a credit card default crisis is closer than we think. So, what should we do? Continue to ask donors to put their gift on credit cards... but only if they promise to be responsible and pay off the card balance every month? I'm going to talk about this more in the next couple weeks... but in the meantime, I think nonprofit fundraisers should start to truly understand the real cost of processing donations on credit cards. Start by reading this article about how the organizations that handle Internet contributions and related services for the presidential campaigns have already collected more than $11 million in fees! The tragedy of what Cyclone Nargis did to Burma's delta region is almost beyond comprehension. The International Committee of the Red Cross and Oxfam have estimated that the death toll of 100,000 could be made significantly worse if disease sets in. More than one and a half million people in desperate need of food and water. So, is it just me or have donors been slow to respond? Save the Children, Christian Aid, World Vision International and the British Red Cross all began fundraising last Tuesday. Unfortunately, the military junta in Burma has displayed "sluggishness or suspicion when it comes to taking up offers of overseas and even non-governmental aid." The lack of media access has prevented the worldwide distribution of videos and still images. Are donors getting a free pass as a result? I mean... after Hurricane Katrina and the Tsunami, a lot was written by Convio, NTEN, and others about the lessons learned by nonprofit fundraisers. Rapid response on the internet was supposed to have revolutionized fundraisers ability to raise needed money quickly. A national British appeal was launched today to raise money for the aid effort in Burma. The major overseas aid charities say they will join forces and co-ordinate their fundraising and emergency relief efforts due to the extent of the disaster and the dire need of the Burmese people. The Disasters Emergency Committee (DEC), the umbrella group which represents the 13 biggest aid charities and co-ordinates major disaster appeals, will run the campaign. The DEC took almost two days to make up its mind on whether or not to launch a national appeal, similar to that after the Asian Tsunami. There have been fears that the charities would struggle to spend a large sum of money effectively due to restrictions placed on their workers by the military dictatorship in the country. The cash raised will go towards not just emergency shelter and food, but reconstruction and rehabilitation afterwards. To learn more about where you can donate, go here. Earlier this week, the popular celebrity blogger Perez Hilton reported the following news about the announced final concert ever in August by rock band the Police. "This final concert will be a fundraiser with proceeds benefiting the production of arts programming for New York's public television stations Thirteen/WNET and WLIW New York. Tickets will be available nationally online via the Thirteen/WNET and WLIW Web sites. The band also announced that they will contribute $1 million to NYC Mayor Bloomberg's MillionTreesNYC initiative — a gift the city will match — to plant trees all over New York City." "The 2006 concert - which drew Lenny Kravitz, Sheryl Crow and Will Ferrell to the landmark stage - raised $2,156,989, according to the latest available IRS tax filing. Yet only $887,374 of the money raised, 41 percent, was divided among the charity's eight programs that support native-land claims and forest preservation in Latin America and Africa - a paltry percentage, according to agencies that monitor nonprofits." You can read the original NY Post article here. "One month after Kintera received notice about potential de-listing from NASDAQ, widespread layoffs have begun at the San Diego-based software provider to nonprofits. The cuts are ahead of the firm’s quarterly earnings call slated for this afternoon. Company insiders said more than 40 people were cut starting Tuesday, although Kintera officials declined to comment in advance of today’s 4:45 p.m. Eastern conference call to discuss first quarter financial results. The department losing the most people was finance, followed by marketing and product development, according to insiders. Roth Capital, one of the few analysts still tracking Kintera, downgraded the stock from “buy” to “hold” on Monday, 15 months after making it a “buy.” Kintera, which trades on the symbol KNTA, ended 2007 with almost $16 million in losses, down from $33 million in 2006 and almost $42 million in 2005. For the first quarter of 2007, losses were $8.2 million. An insider told The NonProfit Times the earnings report “is not expected to be good” but that the layoffs were more “matching expenses to resources.” Another insider was less optimistic, saying, “This doesn’t surprise you, does it? You had to see this coming.” Neither source would disclose the number of people losing their jobs. "The most stylish stars flock to Manhattan each year for the Metropolitan Musueum of Art's Costume Institute Gala, which is thrown by Vogue editor in chief Anna Wintour. This year, the A-list guests embraced their inner superheroes for the "Superheros: Fashion and Fantasy" themed bash May 5, 2008. The superhero mania that is invading American cinemas this summer took hold at one of the country's most distinguished art museums with an exhibit on how the colorful costumes have influenced fashion." If you listen closely, you can hear me gagging. If you want to see photos of celebrities, go here. Peter Deitz, Founder of Social Actions, is covering the Council on Foundations Conference for Tactical Philanthropy. "I find myself on the edges of what could easily be called the “Davos of Philanthropy.” Roughly three thousand attendees have flown in from across the globe to discuss the current and future states of global philanthropy." You can read his first impressions here. Will the Mint Jubilee Gala outshine the Kentucky Derby? Over the years the Mint Jubilee Gala has grown from 250 attendees to more than 1,500 and has become a signature Kentucky Derby event. Last year, they raised $350,000 after expenses. It isn't hard to imagine that soon the fundraiser will attract more attention than the Kentucky Derby itself. If you don't have tickets already, forget about it... they've been sold out for quite some time. "Anytime your fundraising program experiences large increases or decreases, it’s helpful to understand if the change is being driven by broader external factors or by specific issues to your audience and mission. Benchmarking studies can help identify trends in key indicators and give fundraisers the context we need in order to understand our own performance better and plan for the future. Unfortunately, not all benchmarking studies are created equal. Some studies are nothing more than lazy half-assed analysis from vendors hawking thinly veiled sales pitches. Other well-meaning benchmarks often use questionable methodology. A flawed approach can produce misleading conclusions. It’s therefore critical for fundraisers to share their feedback and reactions to what the benchmark studies are showing. This article compares the methodology of three of the most cited (and debated) benchmarking studies making their way around the blogosphere today."